Our skin is always exposed to harsh weather conditions and pollution and it is very important to nourish our skin on a daily basis. This article talks about natural skin care products and their importance. Skin is the body’s very first defence against any sort of harmful agents like pollution, dust, germs, cold, heat, bacteria, sunlight and other chemicals. It is very important that you take out time from your busy schedule to render the necessary protection to your skin as the same is not only essential for leading a healthy lifestyle, but also for upholding your beauty for years. With the growing congestion and hustle and bustle probe lifestyle, people hardly get time to take care of their skin which in a way instigates skin disorders such as acne, hives, keratosis, rosacea, dry or oily skin, stretch marks and so on. While some of these problems are to be treated by dermatologists, there are also numerous healthy habits which you can take up for preventing the breakout of such condition. One of the same is the use of natural skin care products. When you make use of natural products for your skin issues, there are various benefits you will be enjoying from the same. There are many skin care products that are available at the drugstores and are advertised to be completely made of herbal ingredients. Amazingly when tested, most of them are found to be containing high quantum of chemicals. For customers looking for natural skin care products, it is essential to keep away from the use of products that contain chemical properties. All these chemicals are likely to hamper the skin quality. These products are far off from natural products and are likely to cause skin allergies. If you want to have a healthier and safer skin, then it is essential to make use of completely natural products. Identification of natural skin care products is easy- all you need to look for is at the packaging to find the ingredients used. You need to take out time for reading the ingredients and not simply fall for low price. A couple of natural products meant for skin care come with aloe-vera and oatmeal. While oatmeal serves as a skin rejuvenating ingredient and is great one for cleansing the pores, aloe helps in repairing and soothing the skin and eliminating the dead skin cells. Both of these are skin calming agents. Andrea of Te Mana said, "The botanicals we’re using are gathered by hand in the wild, using strict traditional protocols and at specific times, to ensure that the wisdom of our ancestors is not lost. Our approach is one of respect for all living things around us and an acknowledgment of human dependence on Papatūānuku – our Earth Mother”. For getting healthy skin, you need to concentrate on cleansing as well as toning. Washing your face with lukewarm water is the ideal thing to do for keeping your face free from any dirt and dust. Today there are various natural skin care products available in the market, but you need to pick the one that suits your skin type. Soaps are very harsh for your face, which is why it is recommended to use moisturising lotion after you apply face wash. In case you have oily skin, for exfoliating the same and balancing the rough edges, you need to apply a good skin toner. If you are too much exposed to the sun, make sure to apply sunscreen to keep your skin safe from the harsh rays of the sun. The use of a good sunscreen will also keep you safe from breaking out of skin cancer. For Olivia, the concept of natural beauty refers to three things: Being kinder to you and the planet, acting more conscientiously and doing your part as a consumer. Apart from natural skin care products, diet too has an important part to play in keeping you fit and healthy. Your well being relies upon your skin condition. Healthy skin relies upon ample supply of fat, carbohydrates, proteins, minerals, vitamins and beneficial fatty acids. For the same you need to take in ample nutrients like fruits, nuts, vegetables grains, seeds, vegetable oils, milk, yogurt and honey. Not just those natural skin care products available in the market, you can also use home remedies for taking care of your skin. The use of lime juice is great for keeping your skin away from problems. You can also use boiled milk with lemon juice and glycerine for rejuvenating the skin cells and keeping pimples away. Ice water and lemon juice helps in removing excess oil whereas egg yolk with olive oil and lime is effective for removing skin roughness. 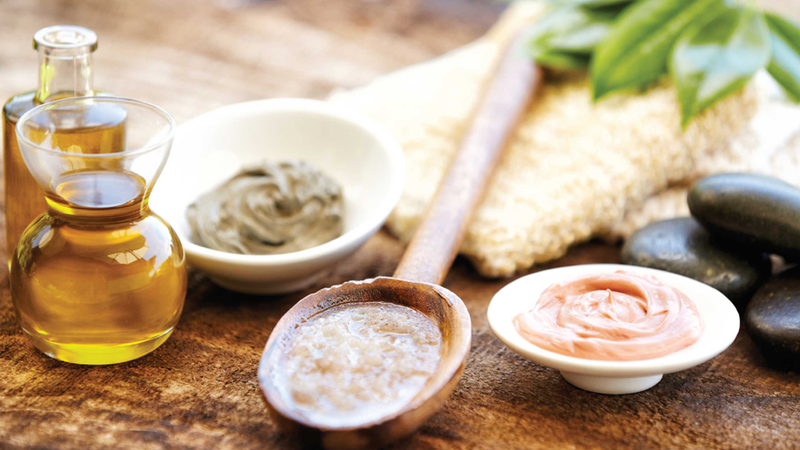 Though there are numerous options available with skin care products, it is safe to use natural skin care products as they can identify and cure underlying issues.